You’ve got some serious work to do. 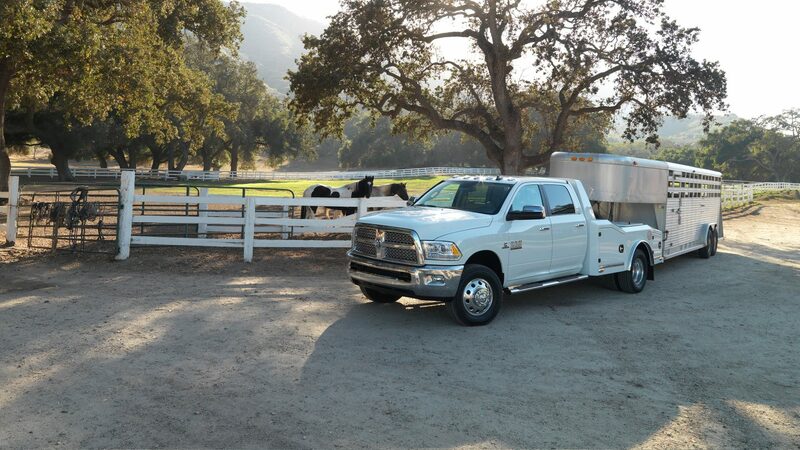 That means you need a work horse, a dependable and powerful truck, that’s ready to work hard. That truck is the 2017 Ram 3500 Chassis. Building on the foundation of Ram’s legendary trucks, the 2017 Ram 3500 Chassis for sale in Tempe, AZ is ready for customization to suite your business. Whether you need a tow vehicle, a mobile toolbox, or a dump truck, the 2017 Ram 3500 Chassis is the perfect base. It’s been designed to accept a large variety of upfits. You get a choice of gas or diesel power, multiple cab options, and several wheelbases. Tempe Chrysler Jeep Dodge Ram in Tempe, AZ, invites you to stop in today. Our friendly sales people are ready to show you the advantages of the Ram 3500 Chassis and how it can be built to perfectly suit your needs. Test drive a 2017 Ram 3500 Chassis near Phoenix, AZ, today. Our extensive 2017 Ram 3500 Chassis inventory near Phoenix, AZ, means you’ll be getting back to work in a hurry. Our customers come from areas near Phoenix, Glendale, and Gilbert, AZ. Keeping connected is essential for business today. The 2017 Ram 3500 Chassis in Tempe, AZ, has the technology to make sure you never lose touch. The available Uconnect® Access system gives you beneficial features like SiriusXM® Satellite Radio, hands-free calling, and Bluetooth® Streaming Audio. The system will make it easy to keep on top of the latest updates, even when on the move. Making sure you arrive at the job site is an available navigation system. Displayed on a vivid 8.4-inch touch screen, the system makes it clear and easy to find your destination. Giving you even more information is the Multiview Cluster Display between the tachometer and speedometer. 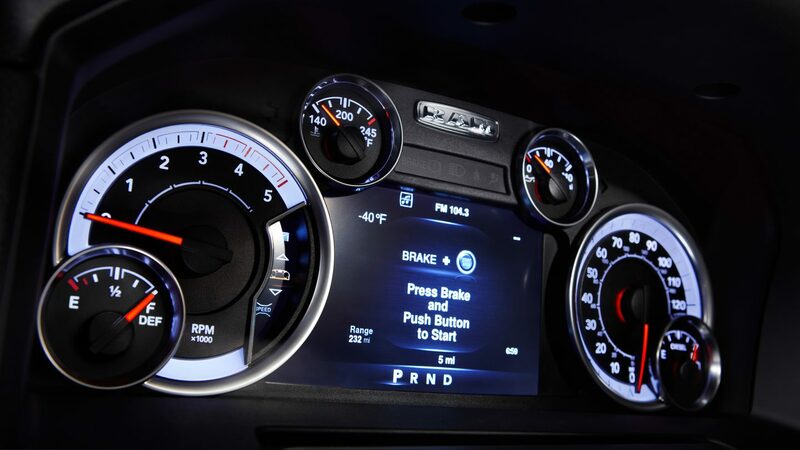 The 7-inch display allows you to scroll through essential vehicle information. 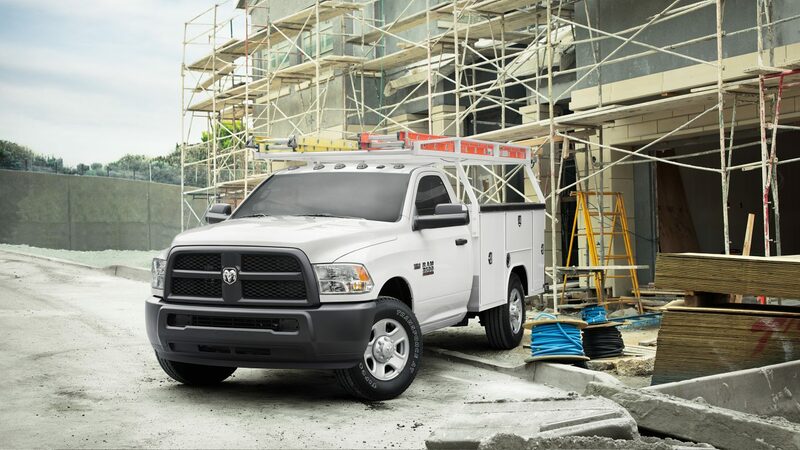 The Ram 3500 Chassis can also carry your crew in comfort. The regular cab seats up to three and features a 40/20/40 split-folding bench seat if you need a little cargo room. The Crew Cab doubles the seating capacity with room for up to six people. Heavy-duty vinyl or cloth are rugged and durable. If you want a little more luxury in your work horse, the 3500 Chassis can also be appointed with leather. The crew cabs also offer the option of heated front and rear seats to keep the entire crew comfy. It takes some serious power to back up the capability promised by the Ram’s tough appearance. You’ll have your choice of a commercial-grade 6.4-liter HEMI® V8 engine with 410 horsepower and 429 lb.-ft. of torque or an potent 6.7-liter Cummins® diesel I-6 engine that produces 325 horsepower and a remarkable 750 lb.-ft. of torque. The gas engine is mated to one of two six-speed transmissions. The diesel offers a six-speed manual or six-speed automatic transmission. To make the most of your upfits, the Ram 3500 Chassis also offers five Power Take Off (PTO) prep options. You’ll also have reassurance from the rigorous testing Ram subjects its trucks to. Their trucks are validated to deliver 200,000 customer-equivalent miles or more. Stop in and test drive one today.